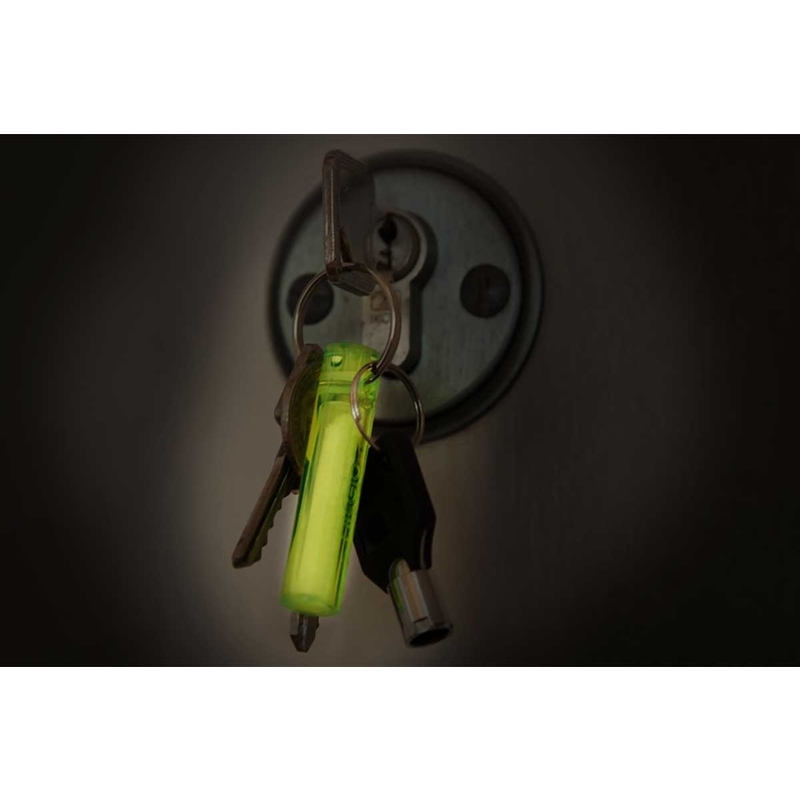 The Ni Glo Gear Marker is designed to mark equipment and personal property or anything you might wish to locate in the dark. 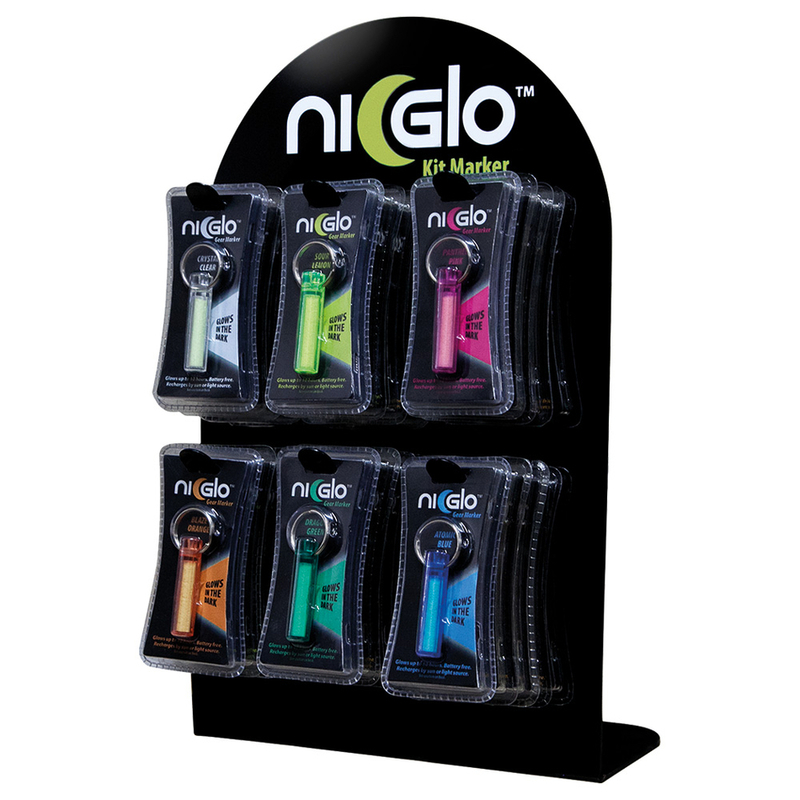 Simply recharge by daylight or under a lamp and your Ni Glo will shine in the dark for up to max. 12 hours every day and up to 10 years long. 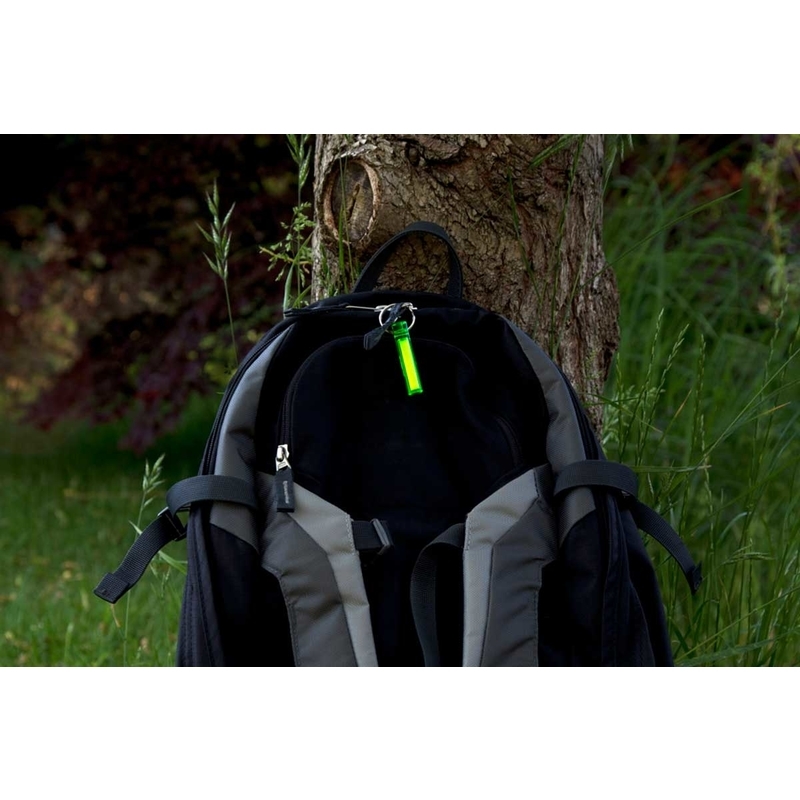 Specially designed for the marking and recognition of equipment and personal items and particularly useful for anything that one needs to find in the dark. Camping equipment, guy ropes, rucksacks, suitcases, sleeping bags,tools, tent pegs or torches. 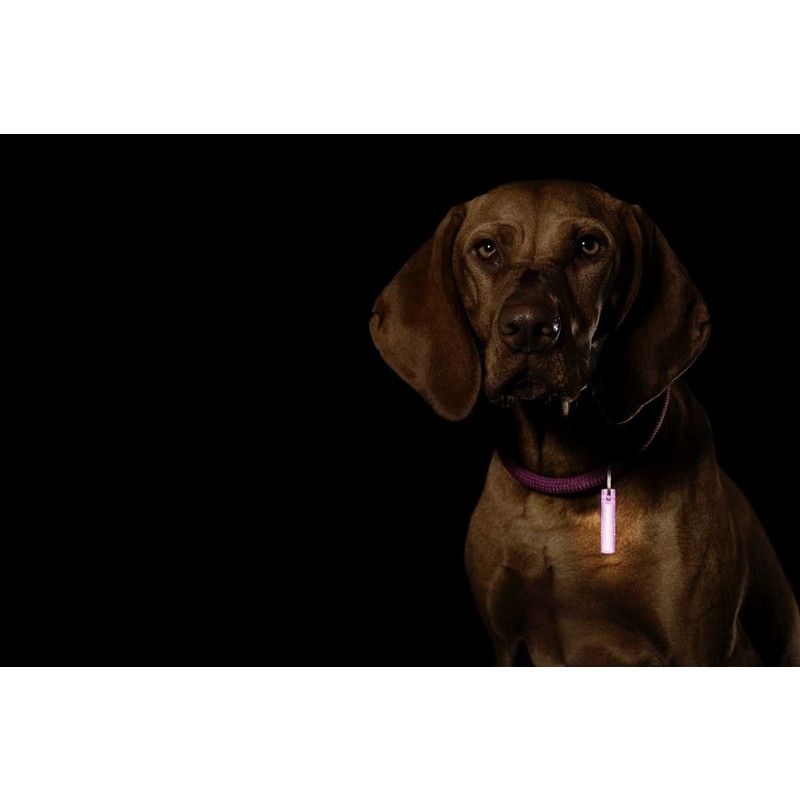 As bite indicator for fishermen without current and more efficient than snap lights, ideal key ring or as a collar marker for household pets. Perfect as emergency equipment and In natural crystal with no additional substances. 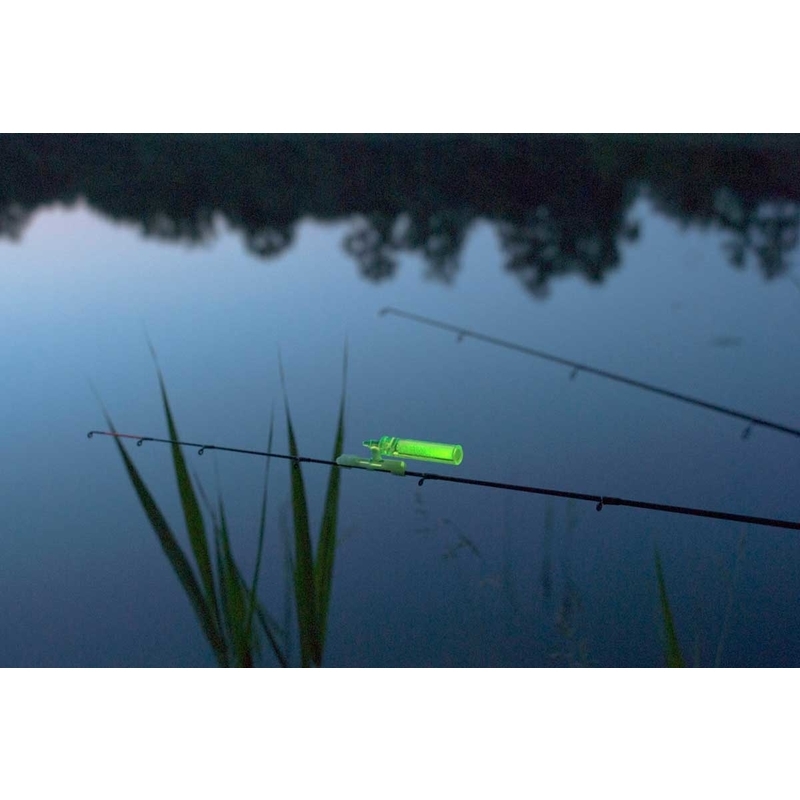 Waterproof and with a connector for 2 Ni Glo together or attach this clip to a fishing rod. 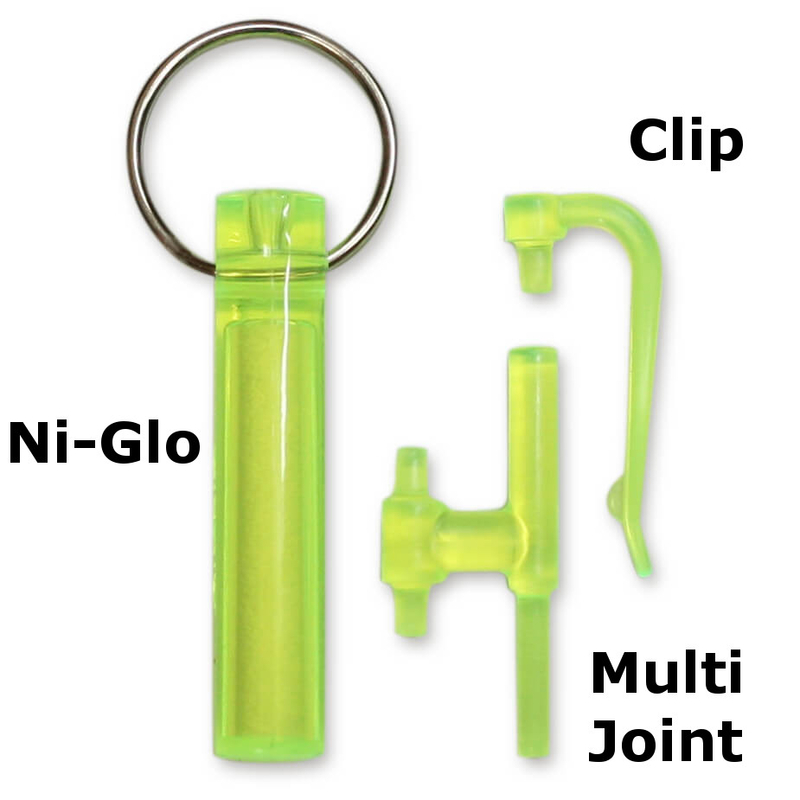 Also included: the pocket clip for use of the Ni Glo on clothing, rucksacks, maps etc. Choose your colours from the drop down menu.